Viofo manufacturer from China launched the A129 duo in 2018, which this is a dual camera. Viofo A129 is a wedge-shaped camera that allows for very confidential installations, this design is still like the camera from Viofo before. Using the Novatek NT96663 processor and Sony STARVIS IMX291 CMOS sensor for the front camera. It also uses the same Sony STARVIS IMX291 for the rear camera. 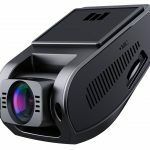 The IMX291 is one of the best low-light sensors available on the dash cams in 2019 and is one of the best for night recording. The A129 Duo can record at 1080p 30fps for the front and rear cameras. The video quality during the day is very good and the quality of the night is also good for front and rear cameras. The Duo A129 is similar to other wedge-shaped Viofo cameras (A119 series). It comes with a 2 screen and optional GPS holder. This camera is also equipped with WiFi and there is an optional Circular Polarizing Lens (CPL). A new feature for this camera is the optional Bluetooth emergency key. The design carried by Viofo still retains the wedge shape for the A129 camera. This is a popular form for dash cameras because it makes a hidden and inconspicuous design. 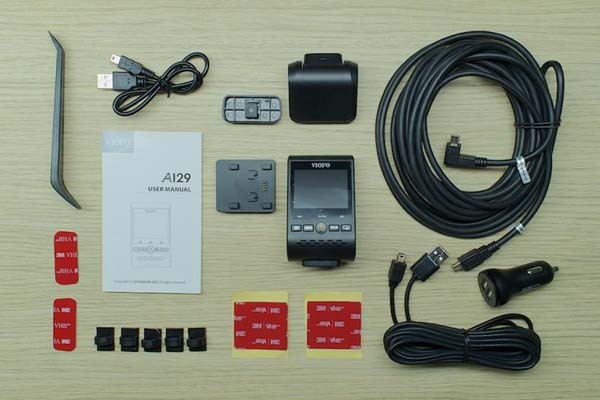 The Viofo A129 Duo screen and buttons are of good quality, and Viofo has reset the control button layout. There are five buttons, lined up in one row: Menu, Record, Key File (slightly larger than the others), followed by the Mute button, and Picture-In-Picture (PIP). Three LEDs indicate recording status, Wi-Fi, and microphone. To turn on or turn off the camera (power button) by long pressing the Menu button, while long pressing the PIP button to activate Wi-Fi. While the rear camera looks the same as Aukey DR02, it’s just the outer appearance. The hardware used in it is very different. 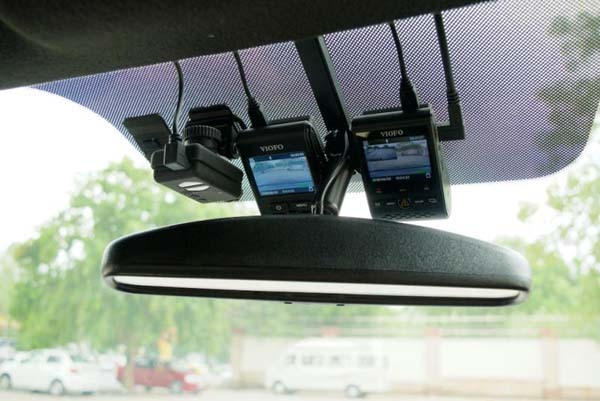 For example, Viofo A129 Duo is the first cam dash to use SONY STARVIS IMX291 sensors for rear cameras. The front and rear cameras actually use identical sensors and lenses. Compared to most other dash cameras, only use lower hardware for the rear camera. The GPS receiver is in the camera mount section. Even though the GPS is labeled as optional, currently the GPS version of this camera is offered for sale. CPL filters are available separately for this camera, to reduce reflections. The A129 supports Wi-Fi, both at 2.4 or at 5GHz. Free application available for Android and iOS smartphones. However, there are complaints about problems with current Wi-Fi cameras. 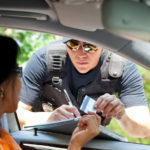 If your cell phone is connected to the A129 access point but does not appear to be connected to the camera, you must turn off your cellphone data. This is a problem that has happened with other cam dashes as well and is likely to be resolved with an upcoming firmware version of the camera. Viofo also shows that this camera supports Bluetooth. At present, the Duo A129 will be one of the first dashboards to display the remote key file button. The quality of the Duo A129 video recording is similar to other two-way dash cameras in the same price range. 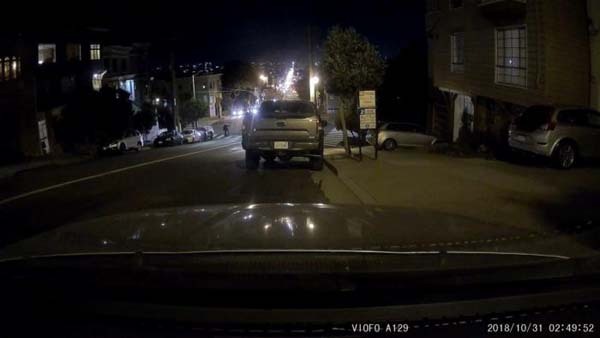 While the video isn’t as sharp as the high-end dash dashes produced by BlackVue and Street Guardian, the A129 captures video better at night than most other dual dash camcorders under the $ 250 price range. A129 offers 3 options for recording when parking if you install the camera. 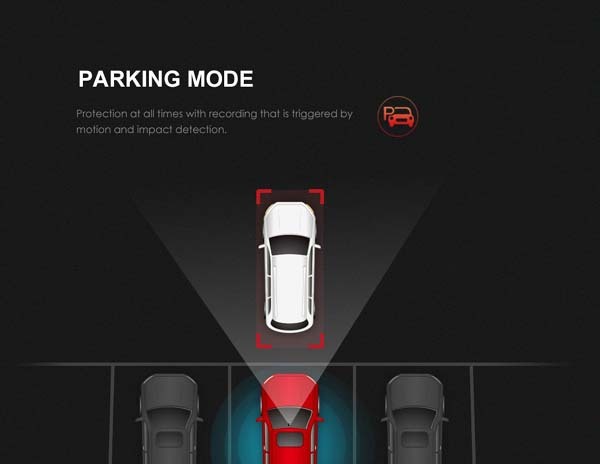 Automatic Event Detection (almost the same as motion detection): When a moving object is detected while parking, the video is recorded for 60 seconds. Time Lapse recording at 1fps, 2fps, 3fps, 5fps or 10fps. When parked, the camera will always record at low fps but no audio is recorded. Low Bitrate recordings of around 4Mbps will always record when parking and audio are recorded. If an event is detected by the camera’s G-sensor or by visual motion detection, the A129 will wake up and start recording normally. But at this time, the wake time is around 4 or 5 seconds, as long as nothing is recorded. 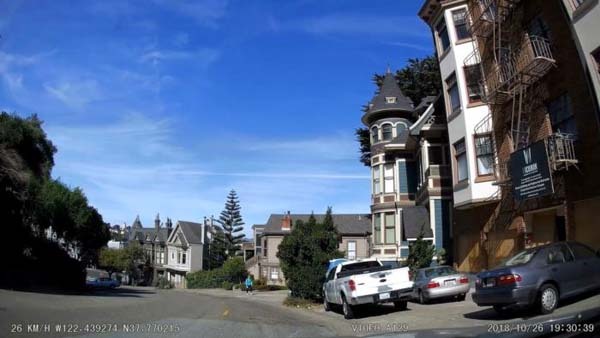 How To install the A129 dash cam you can adjust the width of your vehicle, but most choose to install the dashcam near the dashboard rear view mirror because it will reach left and right with a sufficient angle. The front camera’s daytime video is the best. But you cannot see that image stabilization is quite good on bumpy local roads. Poor image stabilization is a major complaint of the A129 and the otherwise superior Garmin. There are some at times from the A129 Duo, but in general video capture is pretty good. The images from the Duo A129 are amazing, and the overall catch is also, there is occasional moire in very detailed areas, such as leaves on a tree. The daytime video looks really good. Other car number plates are easy to read even when driving at a certain distance. Video at night is good. Most number plates can be read. 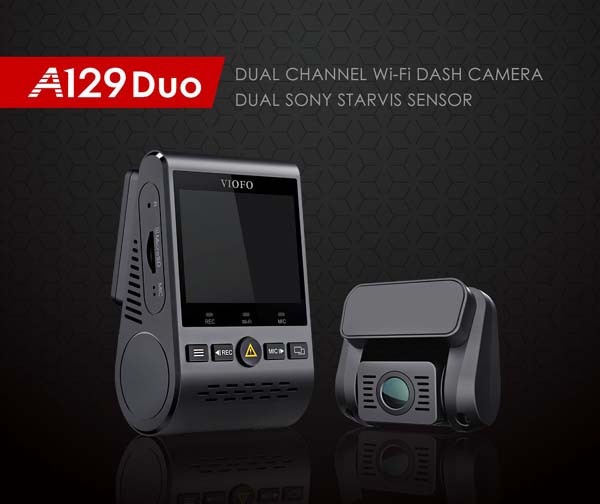 VIOFO A129 Duo is one of the two best cameras available considering the quality of the video for the front and rear because the Sony STARVIS IMX291 sensor is used for both cameras. Other aspects of the camera are also very good including the wedge-shaped form factor of excellent build quality and good reliability.Although the A129 Duo does not have a prebuffered parking mode when programmed, the time lapse and low rate parking modes work well. Even though it's not the cheapest dual camera, it's worth the price because the features and quality of the A129 are one of the options to buy.